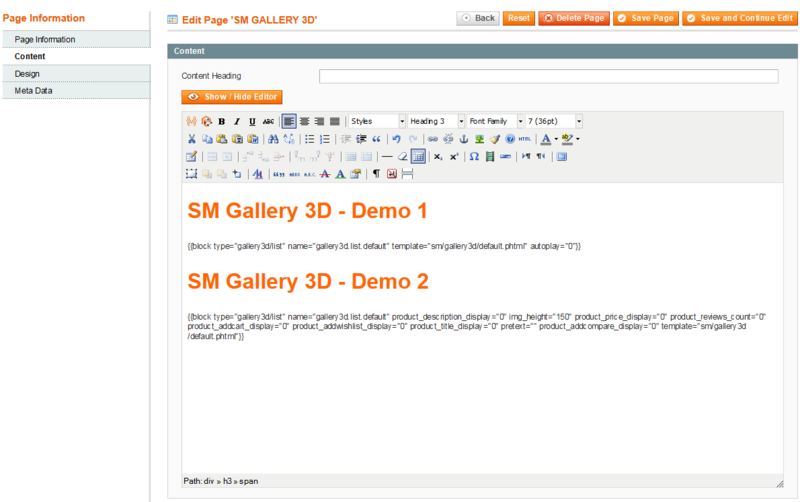 This guide will help you install SM Gallery 3D – Version 1.0.0 step by step. Back Up Database and Media Before installing any extensions, either through Magento Connect or FTP, you should back up your database and media. 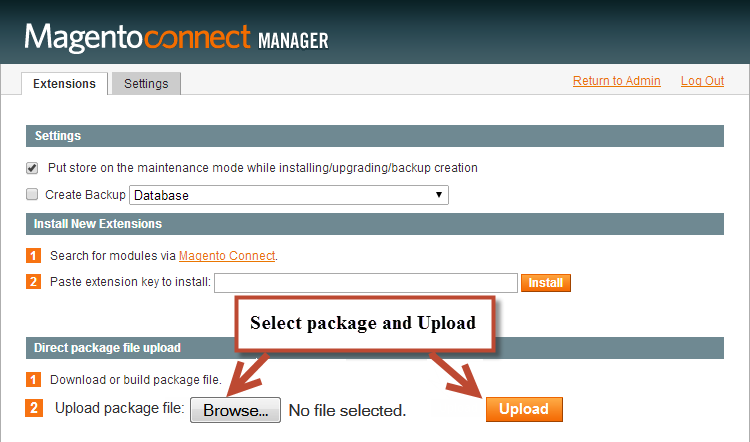 Please go to System >> Tools >> Backup in your Magento admin area. Disable Cache: You should make sure to disable the cache before starting the process.Please go to System >> Cache Management, click ‘Sellect All’ button, then choose ‘Disable’ and click ‘Submit’ button to complete the action. Step 1: Download and unzip the extension content on your computer, then go inside the extracted folder. The new extension will be downloaded and installed automatically. In the second way, after installing the extension, you should logout first and then login the Admin Panel again to ensure all functions work normally. Step 1: Go to CMS >> Pages. 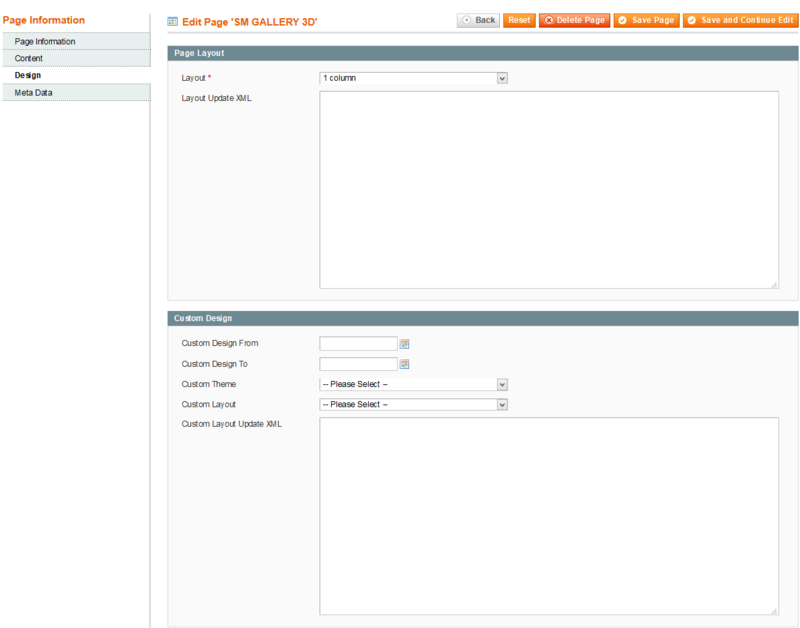 Step 2: Create a new page in Page Management section. Note: Please notice that there are many ways to enable an extension. However, in this document, we have just introduced some simple and suitable methods for the SM Gallery 3D module. 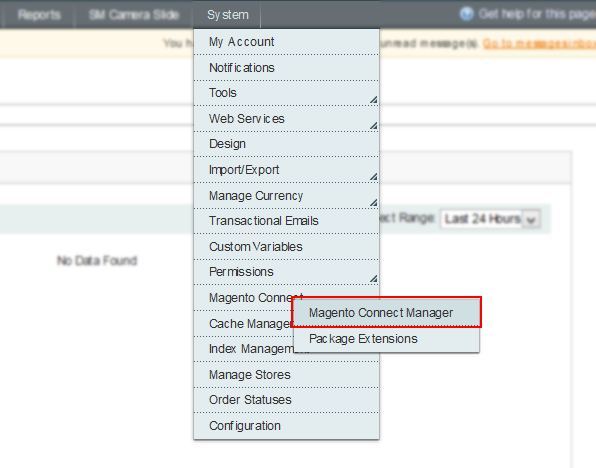 After installing, go to System -> Configuration and find SM Gallery 3D (in the left of column) to configure. Enabled Extension – Allow to enable/disable the module. Display Title – Allow to display the title of the module or Not. Title – You can enter the title of the module here. 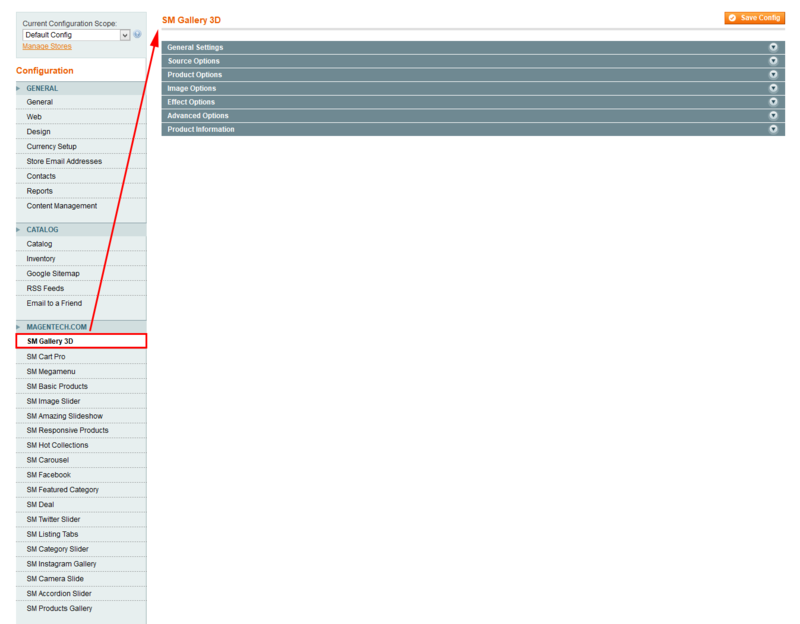 Select Source – Allow you to select kinds of sources to show. You could choose some kinds of sources, such as: Catalog, Media, Product IDs. Catalog – Add items from catalog source to show in the gallery. Media Source – Add items from media source to show in the gallery. Product IDs – Add items from product’s IDs source to show in the gallery. 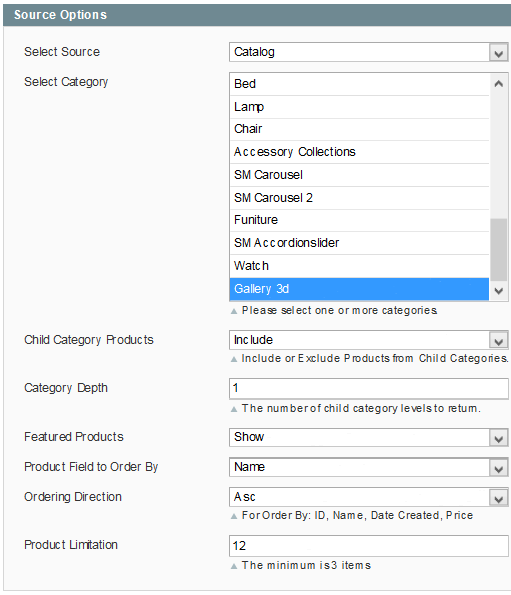 Child Category Products: Include or Exclude the Products from Child Categories. Product Field to Order By: Allow to set the Product Field to Order By. Ordering Direction: Allow to sort in the ascending/descending order. Product Limitation: Allow to set the product limitation. Display Title – Allow you display title of product or NOT. Max Length – Allow to set maximum length of title. Display – Allow you display Description of Product or NOT. Max length – Allow you set maximum length of the product description. Display Price – Allow to show the price or Not. Display Reviews Summary – Allow to display the Reviews Summary or Not. Display Add To Cart – Allow to show ‘Add To Cart’ button or not. Display Add Wishlist – Allow to show ‘Add To Cart’ button or not. 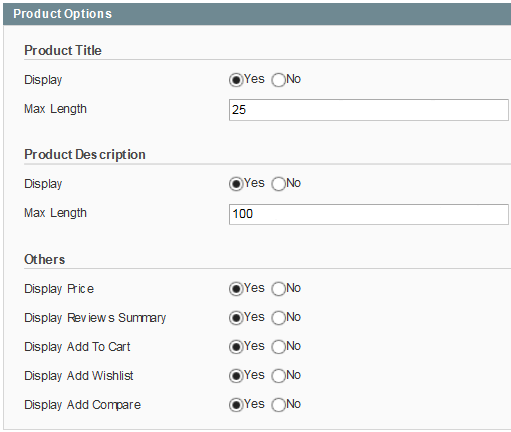 Display Add Compare – Allow to show ‘Add To Cart’ button or not. 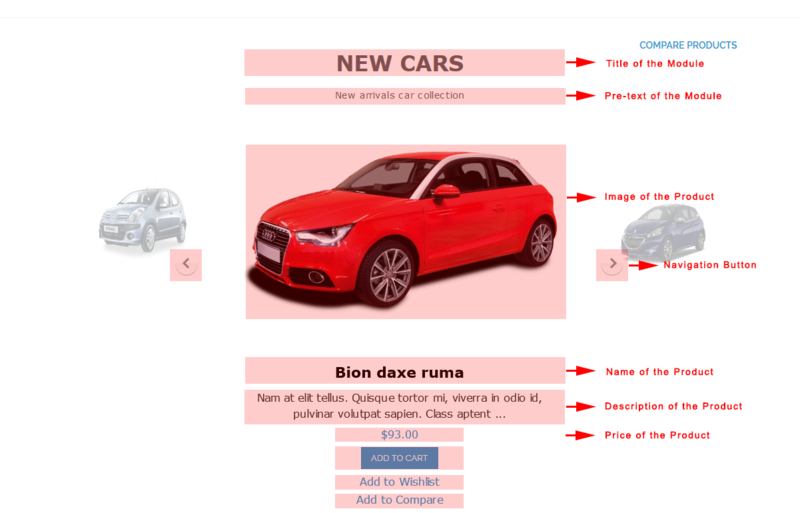 Product Description – Allow to display description of Product or NOT. 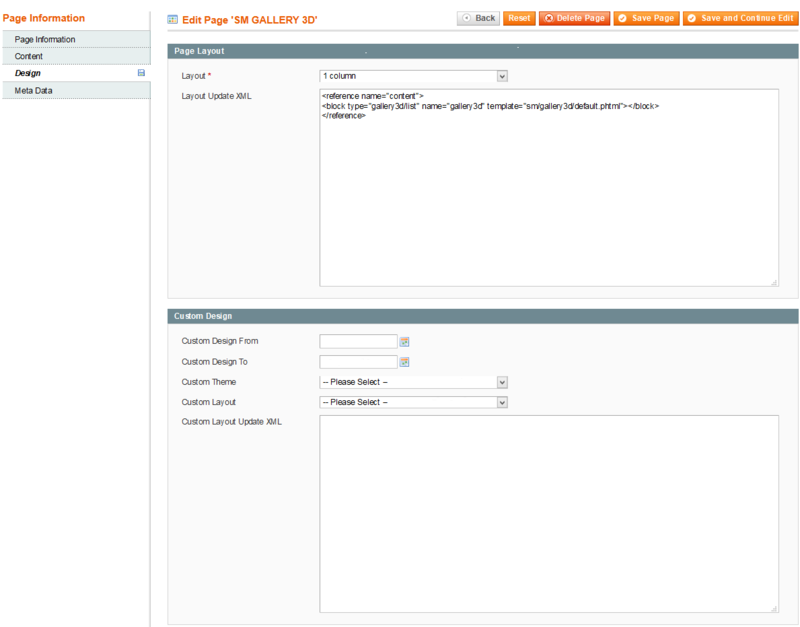 Image Width – Allow you set the image width of the products to show in the gallery. Image Height – Allow you set the image height of the products in the gallery. Constrain Only – If the “constrainOnly” parameter is set to be true. 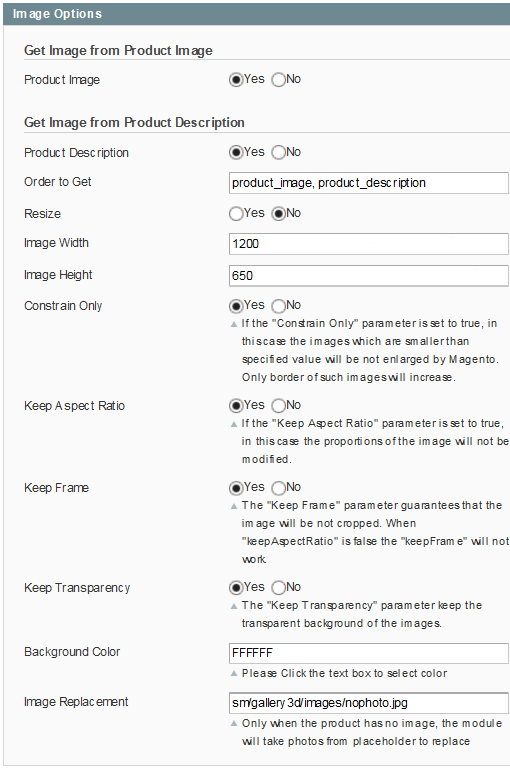 In this case, the images which are smaller than specified value will be not enlarged by Magento. Only border of such images will increase..
Keep Aspect Ratio: Allow to keep aspect ratio. If the “keepAspectRatio” parameter is set to be true, the proportions of the image will not be modified. Keep Frame: The “keepFrame” parameter guarantees that the image will be not cropped. When “keepAspectRatio” is false, the “keepFrame” will not work. Keep Transparency: The ai???keepTransparencyai??? parameter is set to maintain the transparent background of the images. Current Item – Allow to enter th index of the current item . Interval – Allow to set the time between transitions. Pre-text – Allow to enter the pre-text of the module. Post-text – Allow to enter the post-text of the module. 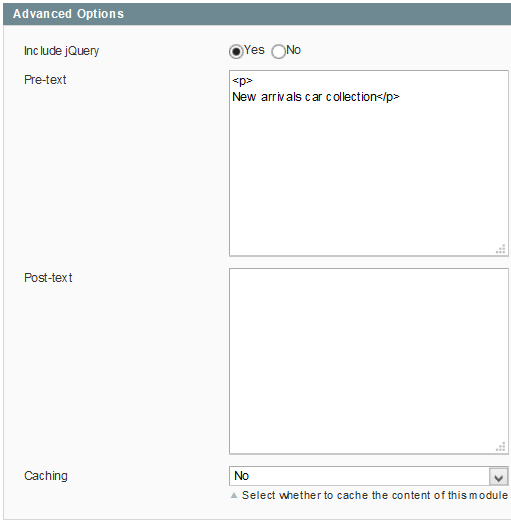 Caching – Allow to cache the content of the module or not.